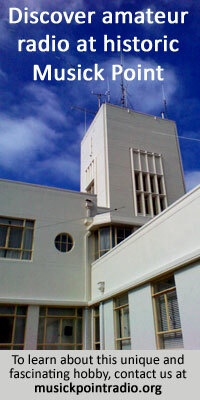 The first New Zealand Post Office radio training school was set up during the Second World War. The first school was held in a room at Radio Section in the old Wellington East Post Office, before moving at the end of 1939 to old Army Buildings at Trentham, where trainees lived in old Army huts while on the course. Stories abound about what they got up to after the school day finished. Probably the most innocent that’s repeatable was the practice to sneak into someone’s hut, remove the lightbulb, then place a small coin inside the socket before reinserting the bulb. Later when it was dark and the occupant returned and turned the light on there was a mighty flash from the socket and the fuse would blow. The result was the occupant floundering around in the dark trying to find the fuse box, then trying to find replacement fusewire which had also usually been removed. 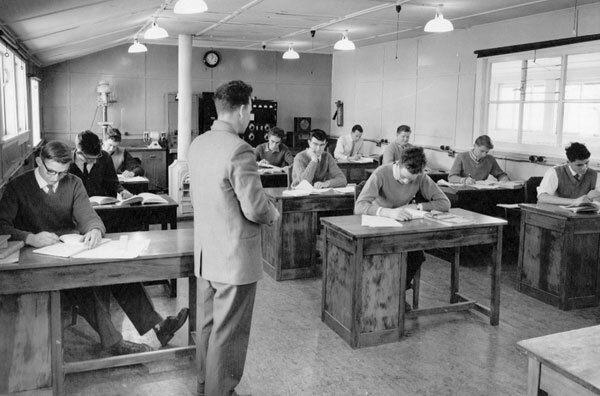 At the time the trainees were studying for the First Class Certificate of Radio Technology (CRT 1st and 2nd Class). Internationally the CRT 1st Class was considered to be the equivalent of the UK’s PMG certificate or the USA’s 1st Class FCC. The course was very very full, covering a wide range of theoretical and practical topics. The instructors were all NZPO Radio Techs seconded for training. Later, when training was moved to the Techs, a new Radio Technicians Certificate (RTC) was introduced and the CRT qualification was phased out but still reccognised. The RTC was of a lower standard and no practical topics were covered and it was not accepted by the FCC or the UK. Now there is no recognised training for radio techs in New Zealand and no officially recognised qualification. Just recently the trade has been working with a training organisation in Auckland to run basic courses but this is still in development, as is official recognition for any courses taken.